Today’s families are starved for time, and the economy has made family budgets, well, tight. Add the fact that many perks are being removed from executive compensation packages, and you have a difficult time to be marketing a country club. 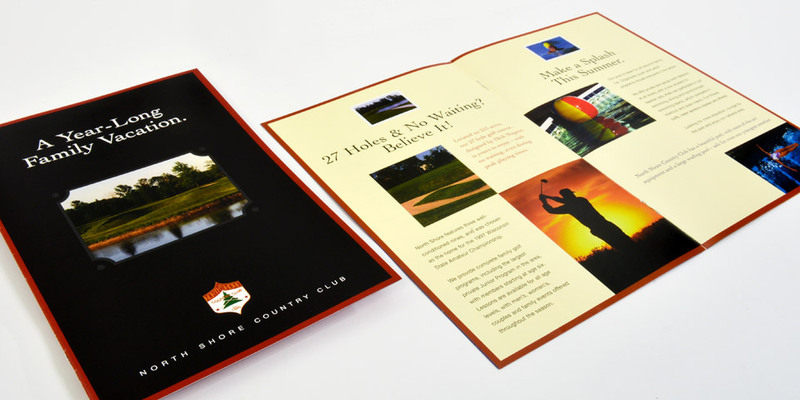 North Shore is truly an exceptional country club and needed a brochure to demonstrate the wide range of amenities while creating a convincing sales pitch. We delivered a brochure that truly sold the benefits while moving the selling process forward. We understand sales. Boom Creative is a design and marketing agency that knows how different types of materials are used in selling situations. We can work with your team to determine what marketing communications pieces are needed at decisive points in the selling process.